The weekend is for having just installed a new graphics card and being pretty pumped to cancel all your plans and see how great all your video games look now. Yay! While looking back, I realized it’s been about a year since I was determined to finish The Witcher 3, and yet, readers, I have not. 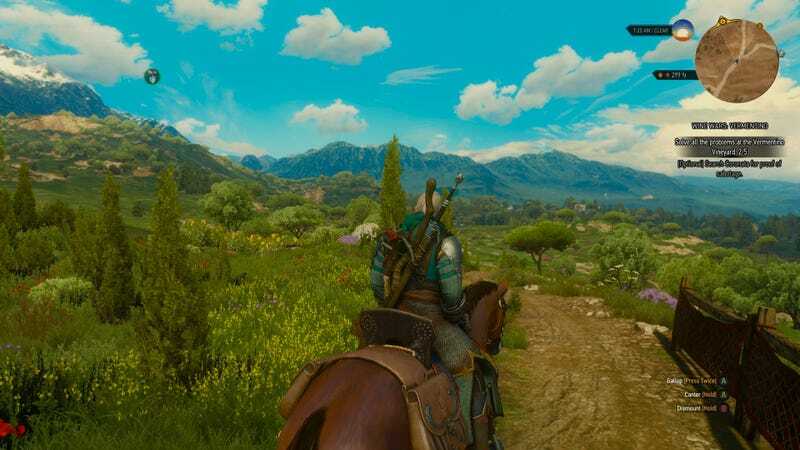 I am super close to the end of the story in Blood and Wine, but I keep getting distracted by the millions of other things to do. So this is it. This is the weekend I finish the story and stop tormenting (or delighting!) you with Geralt screenshots. Let’s open a new chapter of our lives. Persona 5, anyone?